2. Is Cloud Computing Right for you? 1. Are you Already in the Cloud? 2. 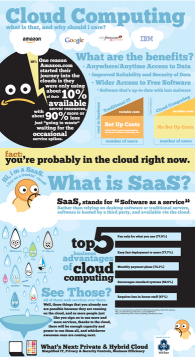 Cloud Infographic: What is it? 3. Infographic: Moving your Business to the Cloud. Our info-graphic highlights a common occurrence in many law firms and legal offices, but what is the solution? It’s time to discover Bundledocs. With years of experience within the Legal I.T. sector, the Bundledocs team are aware of the problems legal professionals face with creating briefs and our software was developed to make bundling documents significantly easier. Our brief builder software can help with indexing, sectioning, numbering, formatting, bookmarking and even securely sending your brief. It's simple and automatic. Brief building made simple. We have created a quick view of our top 10 features so learn how Bundledocs can help you today! As tablet devices continue to rise in popularity there has been a significant growth in the use of tablets within enterprises. Vertic.com recently created an interesting infogrpahic which provides an overview of the use of tablet devices and projected future trends in the enterprise tablet industry in the coming years. The infographic highlights that the legal sector will be one of the sectors impacted most in 2012 by tablet devices. In our previous article entitled “Lawyers Using the iPad for Business” we highlighted a report conducted by the American Bar Association, which identified that 20% of lawyers now use a tablet device. What are your opinions on the use of tablet devices within the legal sector?